Throw away your dusty cookbooks, food magazines, and newspaper recipe clippings. Imagine not having to comb through all your cookbooks, magazines and newspaper clippings for that one recipe you know is there, somewhere! Kosher.com for Passover and year-round is a massive collection of free, searchable recipes. It also offers entertaining videos and cooking and serving ideas like no other - and new content is added daily. 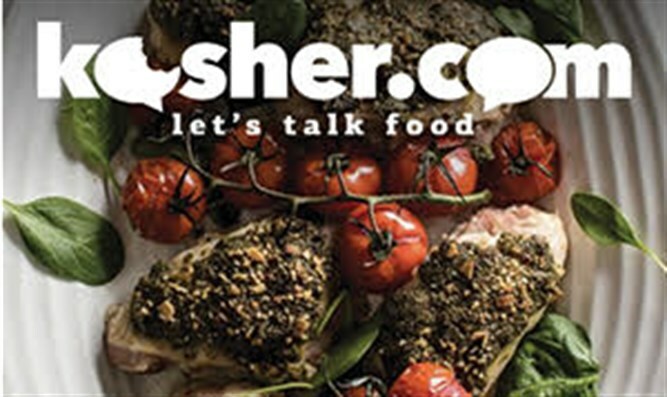 Kosher.com is the go-to source for anything and everything kosher - recipes, vivid original videos, menu planning, tablescapes, centerpieces, food to make with the kids, food substitutions and more. Their pictures look so good you’ll want to reach out and eat right the food off your screen! Kosher.com simplifies your search for just the right kosher recipe. Whether it's gluten-free, Syrian-style or low calorie, you’ll find thousands upon thousands of kosher recipes under one umbrella site. All of Kosher.com's recipes have been collected, archived and digitized from your favorite cookbooks, magazines, kosher chefs and more. Whether your favorite cookbook was printed long-ago, or whether you just bought it in a bookstore, Kosher.com will have the recipe. Even better, the site doesn't just offer a database of old recipes. They've also got tons of original recipes exclusive to kosher.com.